Many times in my life, I have wished somehow that people would just "know" my situation and be willing to extend extra grace. When I was younger, I actually didn't want people to know. I mean, not really. My dad had some issues, and for years, he was in my life and out of my life and back in my life...and back out. As I grew older though, there seemed to be this need in me for people to know. I remember when we had moved to NY and the place was so new. I was thankful for our Washington license plates to give a hint to the other drivers that I was unfamiliar with the roads and where I was going. We didn't have smart phones back then to speak out every step of directions. Haha. When Cale was deployed the first time, I was alone in a new town, a new kind of life as an Army wife. We hadn't been there for more than a few months and although I had already started to meet people who ended up becoming like family, there were many days that I was just alone. 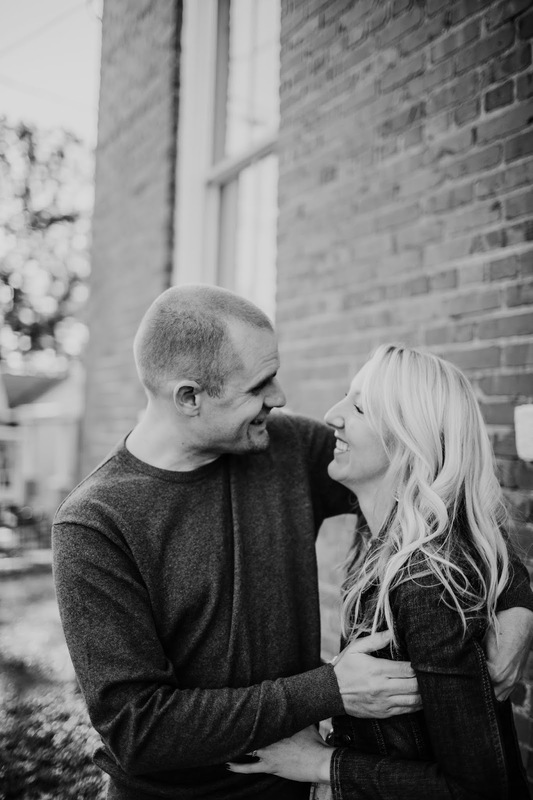 It was a moment for me that I wished I had a sign on me reading that I needed people to be gentle with me because my husband was deployed and my heart was hurting. This scene has played out in other ways as time progressed. After the accident, I needed it tattooed on my head. Be gentle with me, my husband is in a coma. Grace please, I don't really know what I'm doing with all of this paperwork. Be kind to me, I'm trying to figure this "new" life out. I have made mistakes for sure. I've probably hurt more people than I'd like to ever know after not returning calls or emails like I had meant to do or had to cancel more get togethers than I would have wanted to. I need forgiveness flowing freely from those in my life. It's been a long time into this journey and I am still often failing at keeping in touch like I wish. My emotions are a little more rocky and unstable than I would like them to be. I wish I had a sign for Cale. In fact, something just happened today and I could feel myself getting fired up wondering how I could possibly protect him from negativity when people just don't understand. My first time realizing that people may look at him differently happened when I was pregnant with Nora. We had gone to a Barnes and Noble as part of our date. We were going to try to find a book that Cale could read to her. I went to the bathroom, probably my 100th time peeing that night and when I was walking out, I overheard two girls who were walking into the bathroom talking about him. The comments they said stung deep. I teared up instantly and had this overwhelming urge to chase after them and explain that he is one of the best men they'll ever meet and his eyes are messed up because he was in a car accident and that he has a brain injury and it's not his fault. Thankfully, I let my hormones and emotions calm and I walked with him, my hand in his as we found a book for our sweet girl. I've never forgotten that moment though. Be gentle with me, I have a brain injury. Grace please, I don't understand what's going on in the news. He messes up all of the time and has absolutely no filter. Social cues do not exist. He needs forgiveness flowing freely from those in his life. Sometimes, I have this desperation, wishing I could just wear this sign and that way everyone around us would know we are walking this life of brain injury out and we haven't quite figured out completely...and we get a lot of things wrong. I think many of you reading this get it. I think many of you have moments that you wish people gave you extra grace. That they would be more gentle with your heart. That kindness is what they would extend. I think we all need this. I'm reading through Exodus and in chapter 17, not too long after the Israelites left Egypt, they had already crossed the Red Sea, been thirsty and given water from a log, been hungry and had manna fall from the sky and then there came a battle. During this battle it says in verse 11 that when Moses had his hands lifted, the Israelites prevailed. Aaron his brother, and Hur brought a stone and put it under him for him to sit and then they each took a side and as the battle went on, they held up his hand. You guys, is this not the perfect picture first of all of what the body of Christ is suppose to look like?! I could go on and on and on about this example that God has given us. We all face different battles...and we all need someone on each side holding our hands up when we just can't do it any longer. So they when the battle. Hooray! Team work. Then, Moses says, in verse 15, the Lord is my banner. This spoke to my heart. This banner that I've been wanting to have hanging is saying "Hey guys, my husband has a brain injury and we struggle sometimes. Be kind!" After reading this again and really processing this, I thought about how differently my reactions to situations in my life could be if instead my banner that I wanted the world to see read, The Lord is my Banner. That with it, I brought him honor and let it be a constant reminder of all that He has brought us through and Who He is in our lives. I do desire these things. I always have and I don't completely think both can't exist. But am I wanting everyone to know we deal with brain injury or we belong to the Lord? I had a heart check. Our prayer and our hope is to allow our scars, our mess ups, our struggles and Cale's brain injury to point to Jesus and His kindness that He continually shows us. We're thankful for the victories He gives us over and over and over in the days we live out. Maybe you can be an Aaron or a Hur and help hold up their hands during their battle. I love reading the words God has given you to share. He uses you to lift many. Thank you so much for being so raw and real, you make me want to be a better daughter of Christ. I thought of that song after I posted! Haha. Yes! This is so beautiful Kathleen and a much needed reminder to help hold the hands of others. You have such a precious heart. Yes! We all need people to help hold our hands up as well as we need to be holding others! The song, "His Banner Over Me is Love" comes from my way back past life...Thank you for the reminder. I want people to know me. Sometimes I talk too much because I want it too much. Yet, if I had a banner with whatever may be my situation at the time, would they understand, or would they make fun of the situation. I've had that happen too. For me, I pray I see with the eyes of Jesus, hear with His ears and mind, know people as He does. You are amazing! With all you have been through and still going through, instead of getting bitter, you teach us, you lead us!